We’ve got a new design available, the Navarro 20. 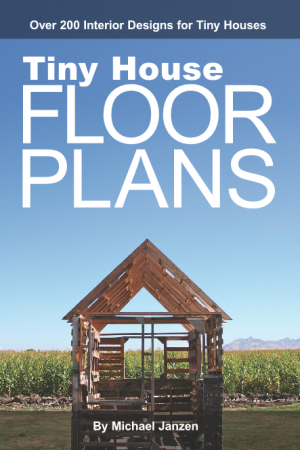 It’s a 20-foot tiny house plan with a shed roof. Four large windows let tons of light into the house and make this design ideal for a locating in a place with a great view. The high ceiling, big windows, and single large room would add to the open feeling in this tiny house design. At the end of the house – behind a pocket door – is a bathroom with a 32″ shower, toilet, and wall mounted sink. Like all my tiny house plans you have the flexibility to finish the house however you like, this is just one example. Learn more about the Navarro 20 at TinyHouseDesign.com. This entry was posted in Tiny House and tagged house plans, navarro, Plans, tiny house, tiny house design. Alternating Tansu Stairs Named ‘Stair of the Week’ at TreeHugger! Can this house be bought in Canada completed, I am 75% invalid unable to build any size house, and if so about how much would it cost delivered say Ontario. I like the design!! Do you have any available with another loft and it can be longer. I live in Charleston SC and I could tow it possibility. Why did you named it “Navarro”? I’m from Navarra, Spain. It’s nice to have that name in such a gorgeous tiny house! There’s a tiny town and free flowing river in Mendocino County, California named Navarro. I have been naming all my designs for towns and places in Mendocino County. I was born out there – lived there as an adult for some time, miss it terribly and someday hope to move back that way. Yeah! A real handrail on the “stair” is real progress. And not having to stare at the dishwasher or the washer-dryer combo unit staring back at the sofa occupants is a plus. Positive design evolution is always good to see. This is my favourite design of yours by far. It has such a contemporary feel and includes all of the features I would expect in my tiny house. Can you think of a clever solution to putting a flat screen TV on the wall, integrating a washer dryer and a multi-fuel stove? I want to know what it would take to start my own tiny house business here in Moorhead, Minnesota. I always watch the Tiny House Shows on HGTV. I just love the Tiny Houses that Zack Giffin And Jon Weirforth build on the shows. Its to bad that the people have them come and build the homes in seven days though. 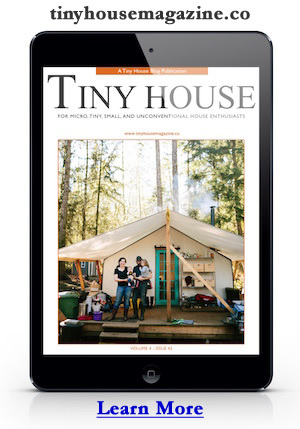 Love your tiny house. Wondering what the price would be?